This one isn't exactly a shocker. Anyone worth their salt is a Spoon fan. They've released a series of impressive albums and continue to win new fans with each release. In my opinion they're the best band out there. You may disagree, and well, that's what makes you a jackass. Sorry but someone had to tell you. It just happened I was the one to do it, jackass. The band is working on their follow up to 2007's Ga Ga Ga Ga Ga. It should be ready at the end of the year or in early 2010. For those of you in Austin, you can catch Spoon's 3-night stay at Stubb's on July 9th-11th. I'm still debating how many nights I'll attend. Who am I kidding? I'll probably go to all three. 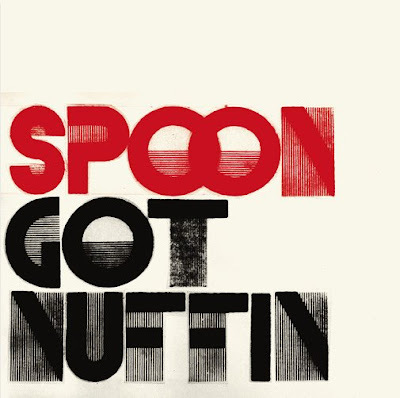 It's weird, but I gotta admit that I've considered putting Spoon on my "Bands I Don't Get" feature on my blog. Not because I don't love them -- I do, and have since Girls Can Tell. But I don't understand the folks out there (including you, obvs) who consider them the "best" band going. I think their highs are as high as just about any band, but their songs are also frustratingly uneven, and they have a higher percentage of songs that I skip than, say, Wilco (pre-Wilco (The Album)), who I would hold out as another example of what people refer to as a "great" American band right now. I definitely think they're one of the better, more ambitious bands out there, but I can't bring myself to call them great. Interesting. We see Spoon in almost opposite terms. You see them as very good but uneven whereas I find them remarkably consistent. Each album, each song even, is good to great but never really bad (in my opinion, of course). Settling on one band as the "best" is nearly impossible which is why I started this "My Favorite Band (this week)" crap. I fall in love with various bands throughout the year but I always come back to Spoon sooner or later. I just listened to a live concert of Spoon at the pool today (via a recent npr podcast) and it was really awesome. I was shocked to hear they had a new ep out. I liked the new tune and look forward to the new album. I so get the Spoon thing. Not getting it is just plain tomfoolery.